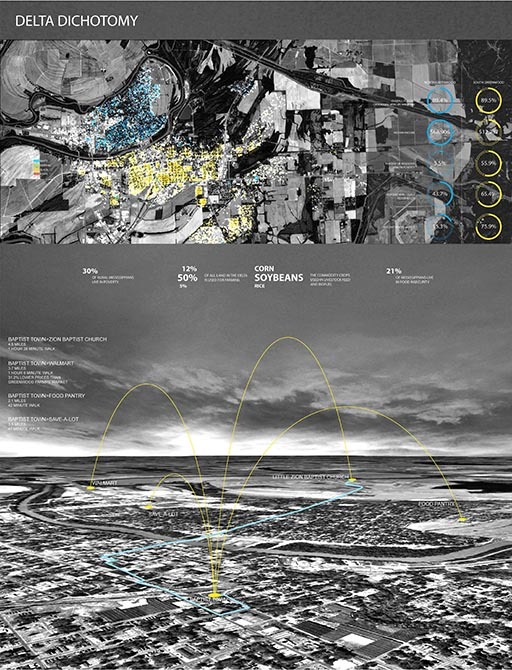 The fourth-year landscape design studio focuses on landscape planning and design from the regional to the site-development scale. 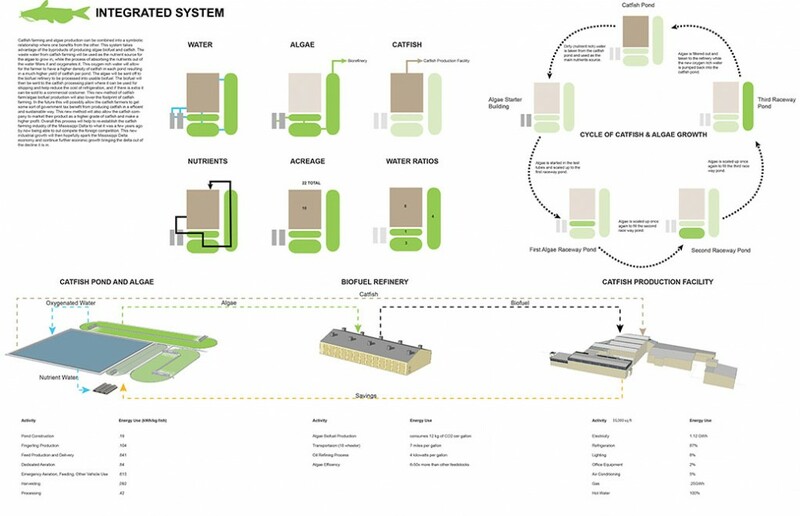 The studio places emphasis on generating planning and design strategies for urbanization and development that are informed by an understanding of the ecology and culture of the region and based on principals of sustainability. 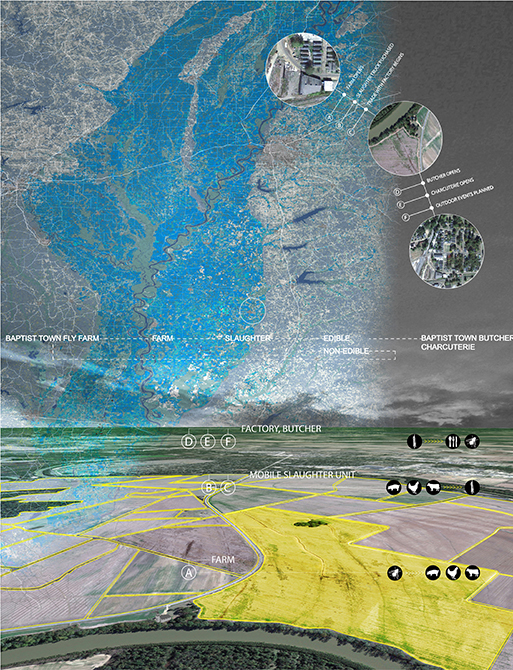 The fall 2013 “Delta Divides” studio explored the agricultural, industrial, economic, and cultural landscapes of the Mississippi Delta region. 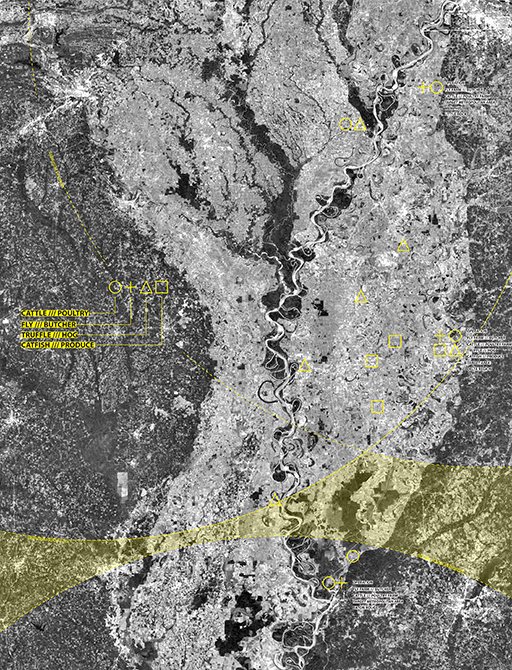 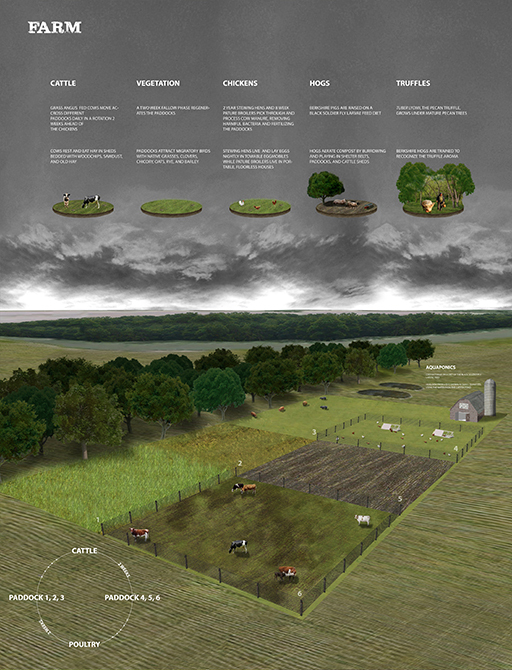 The Delta is an ideal testing ground for exploring the paradigm of urbanization and rural decline. 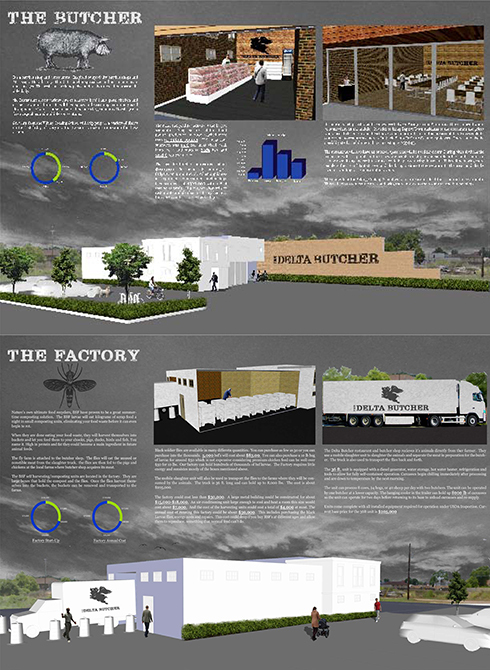 The objective of the studio is to identify latent resources as well as untapped opportunities for design intervention to empower these struggling communities.